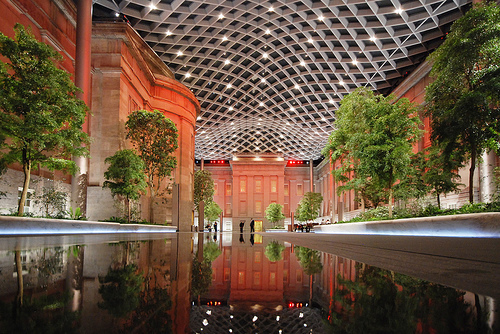 George Sexton Associates joined the design team led by Foster + Partners to develop a lighting solution for the innovative enclosure for the 28,000–square–foot space at the center of the building. 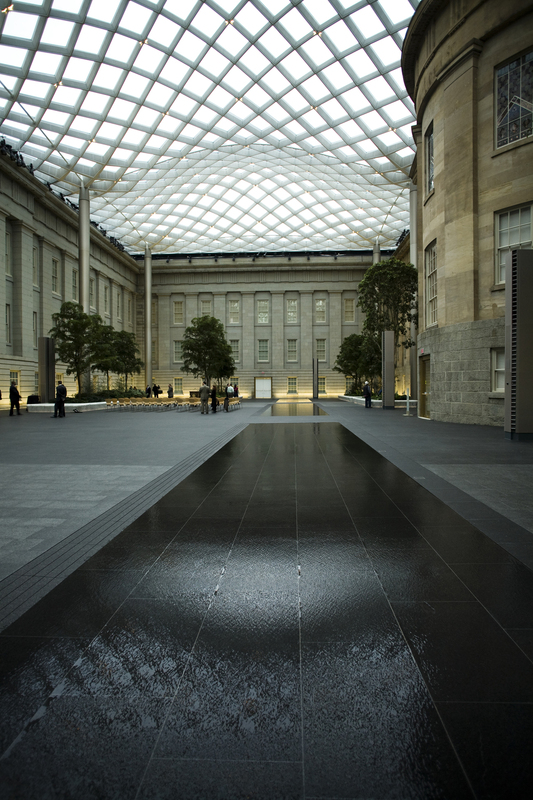 The exterior atrium of the old Patent Office Building has been a recognizable daytime destination in Washington for many years. The roof and landscape additions reinforce the historic value of the daytime experience and the lighting design extends the notion of destination after sundown. The lighting design for the new courtyard enclosure and landscape delicately balances the old and the new and transforms a space full of natural light into a multipurpose evening venue. The challenge was to transform a large historic space with a contemporary glass roof and landscape into a cherished and warm evening destination. The design creates intimacy within a grand volume for formal-use while composing a unique nighttime experience for the general public.